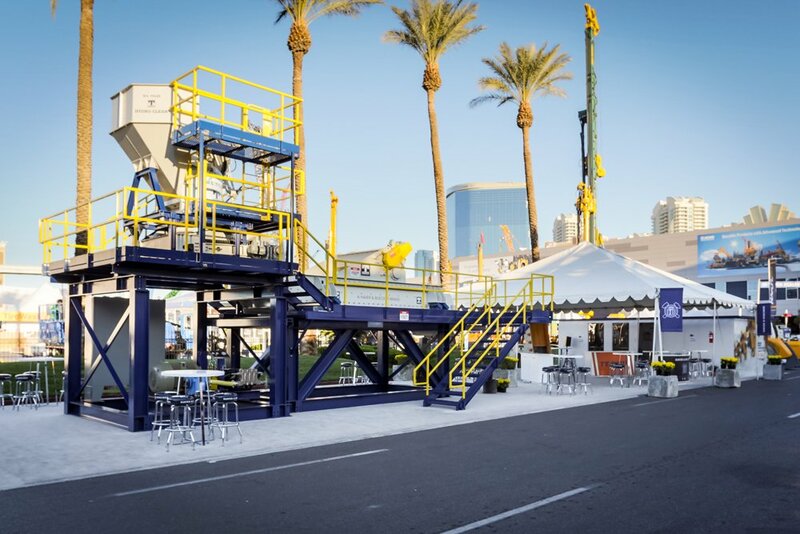 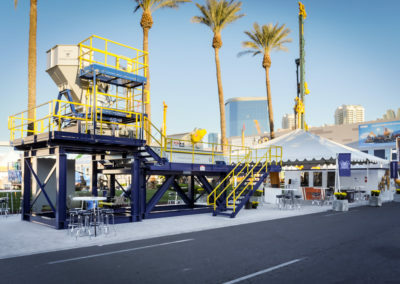 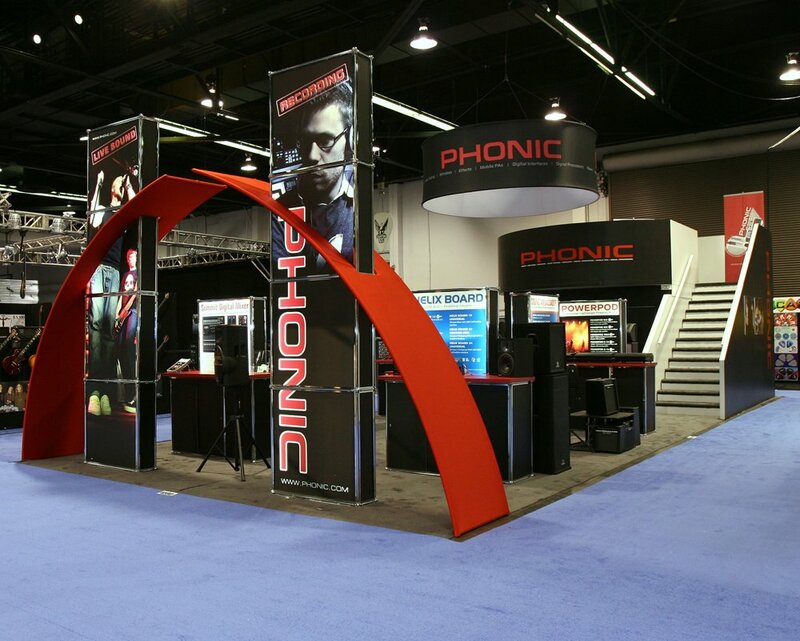 With a Double Deck Trade Show Display, the possibilities are endless when renting a double deck exhibit. 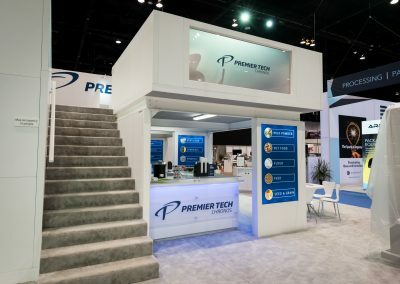 From private meeting rooms to an inviting lounge, even a complete kitchen and comfortable dining area. 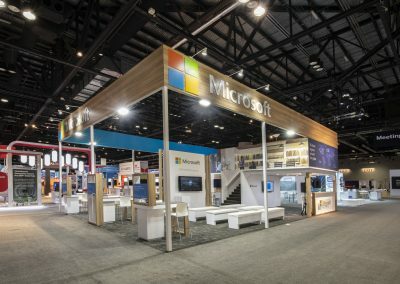 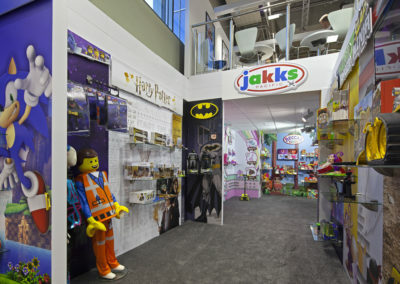 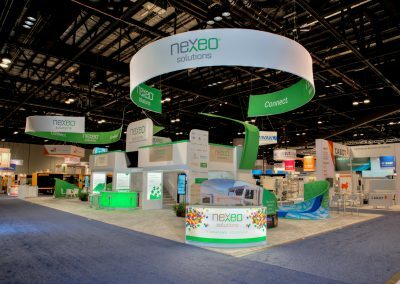 The open space above your exhibit needs not go unused. 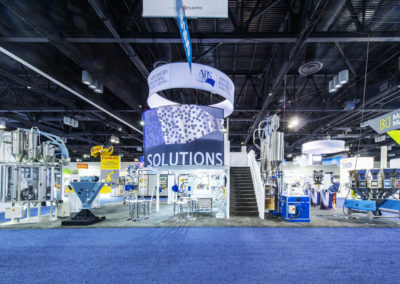 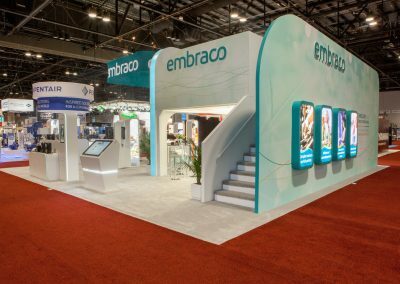 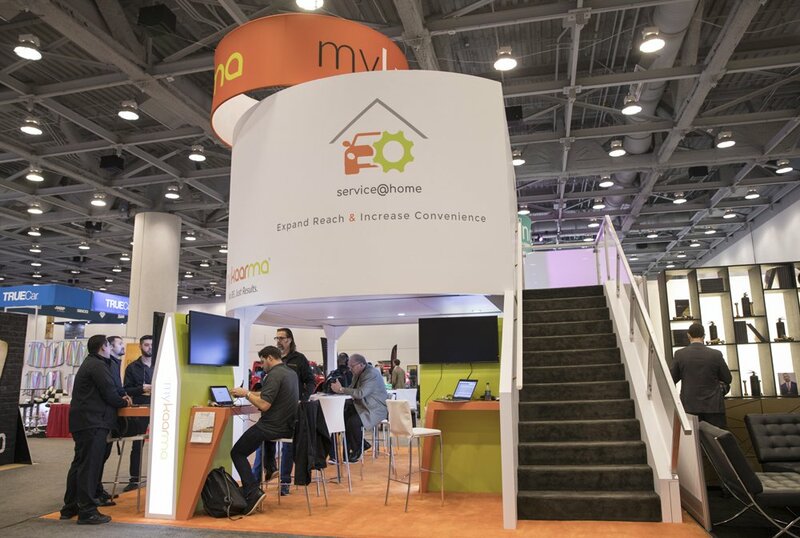 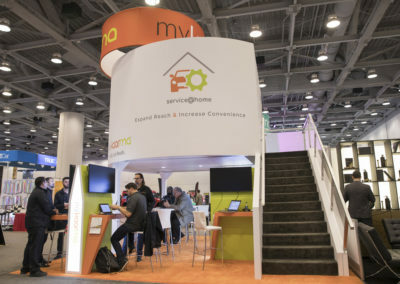 Recently there has been an incredible call for additional exhibit and meeting space, and rather than paying for extra floor space or an off-show floor meeting space, exhibitors have chosen to move up. 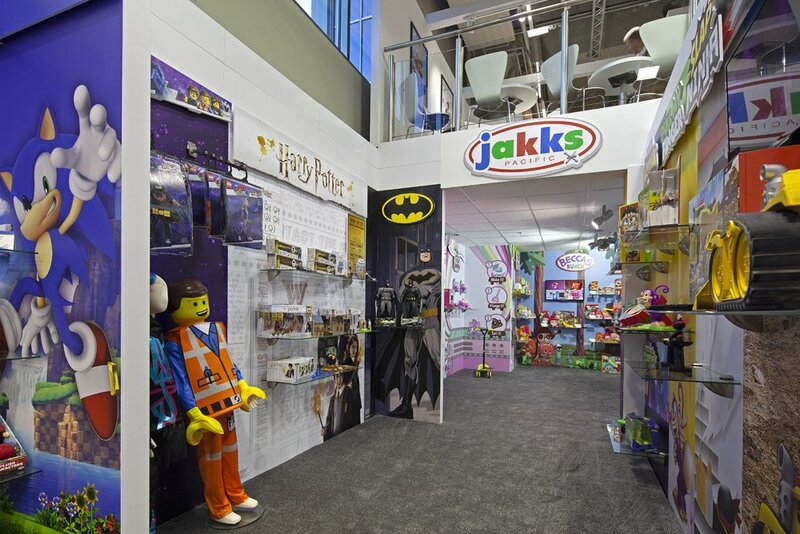 The feeling of privacy and exclusivity that is offered to clients and prospective customers cannot be ignored. 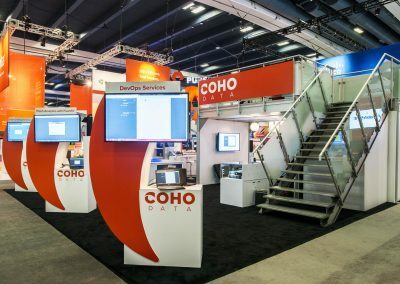 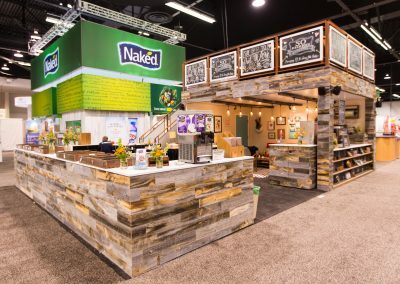 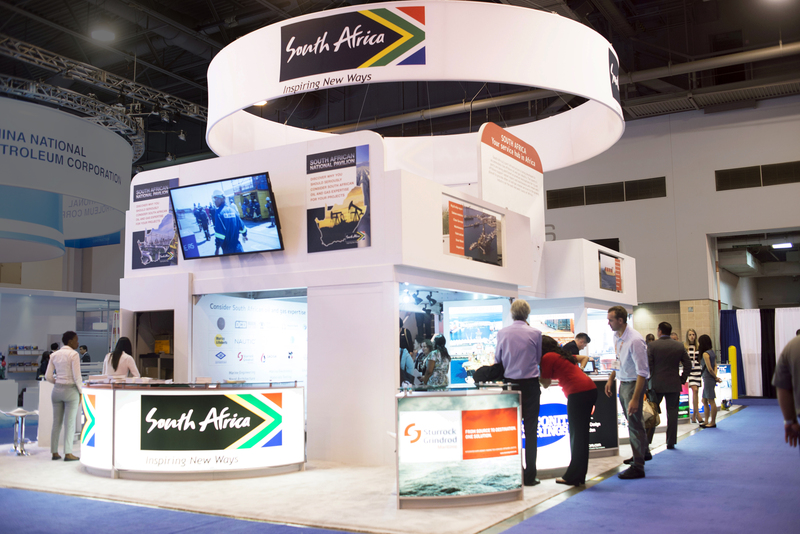 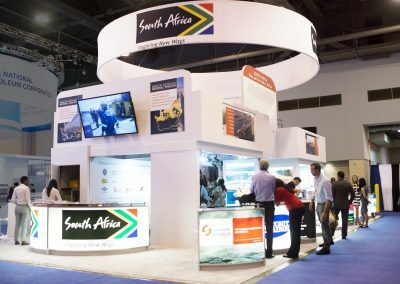 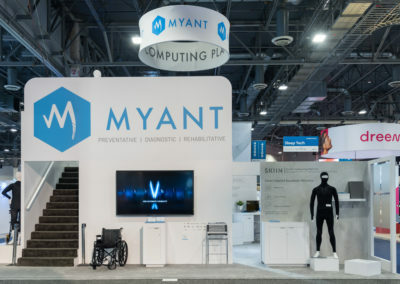 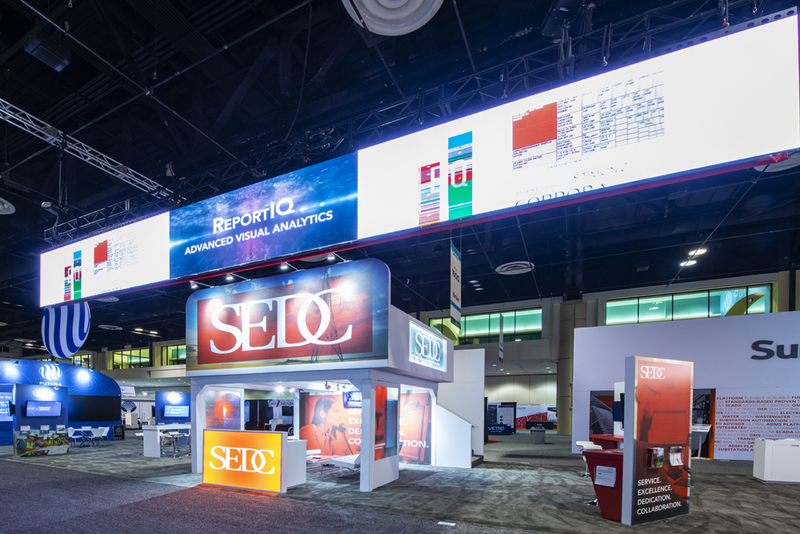 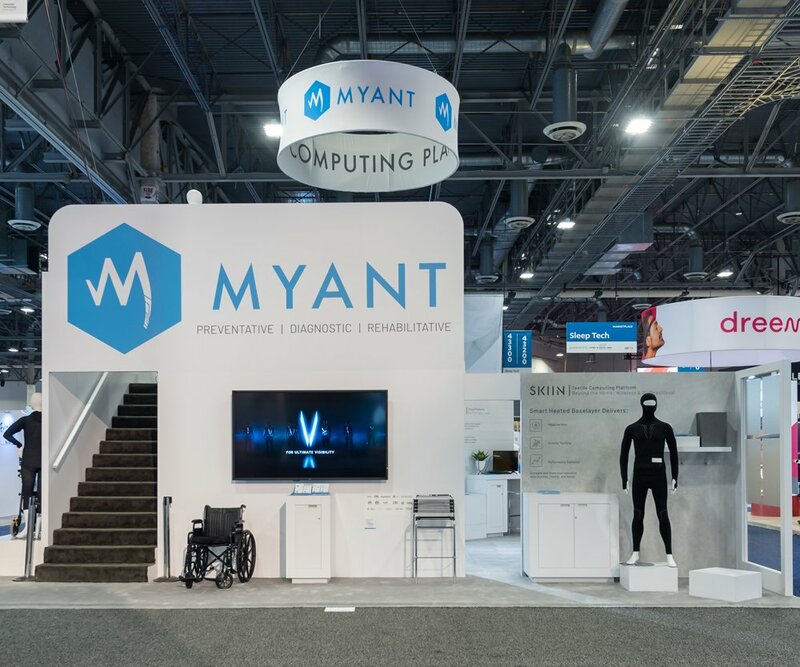 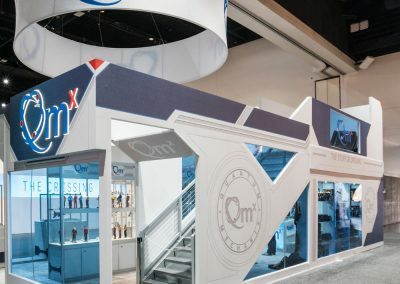 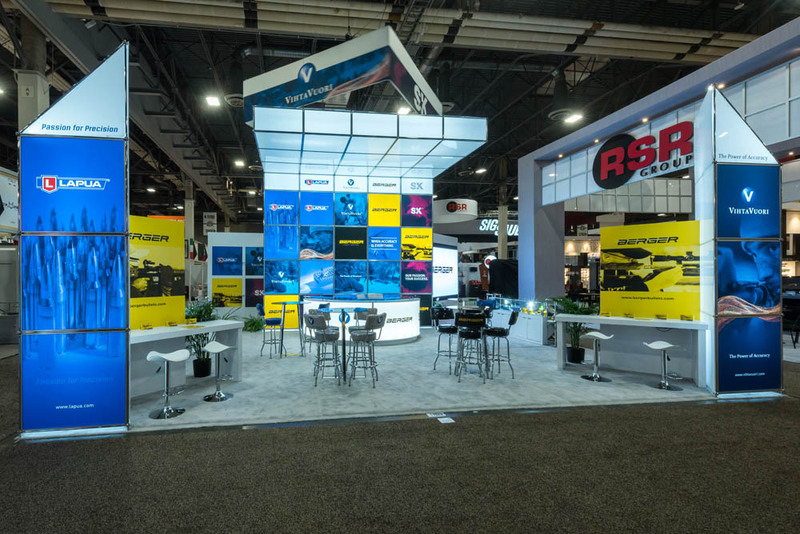 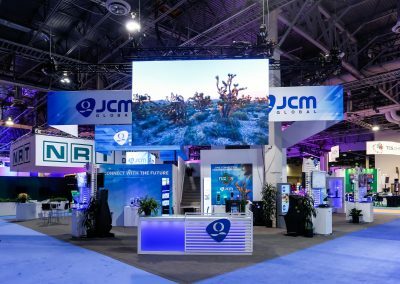 The ROI, return on investment, double deck trade show displays create is actually worth the “most bang for the buck” splash it will create on the show floor. 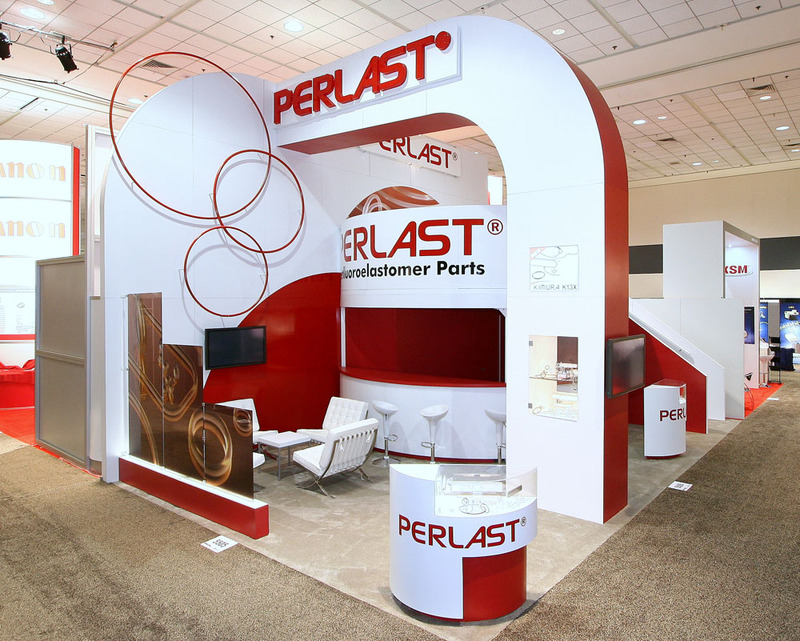 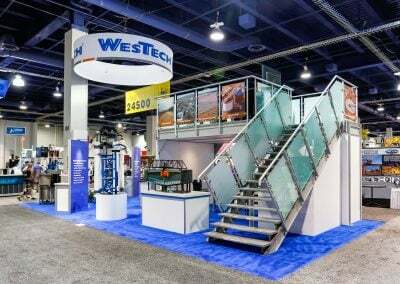 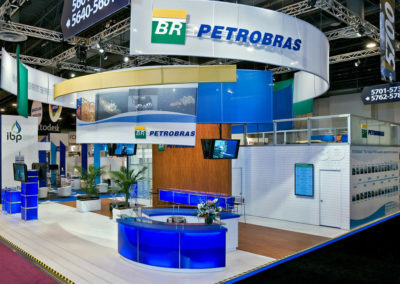 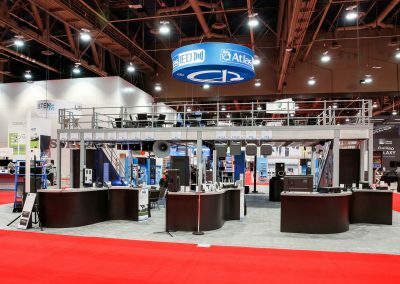 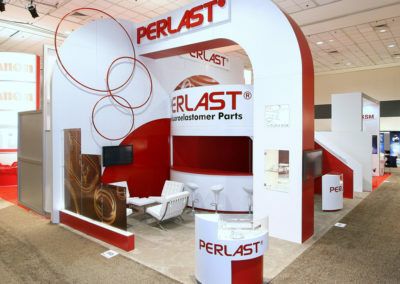 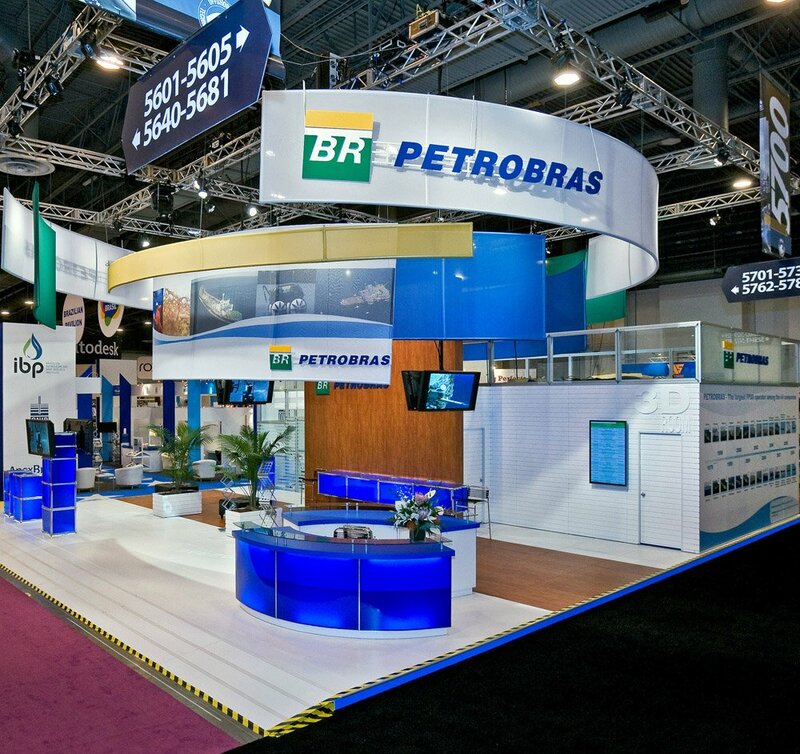 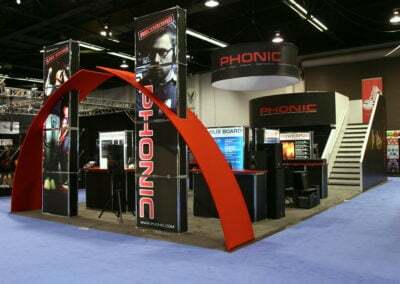 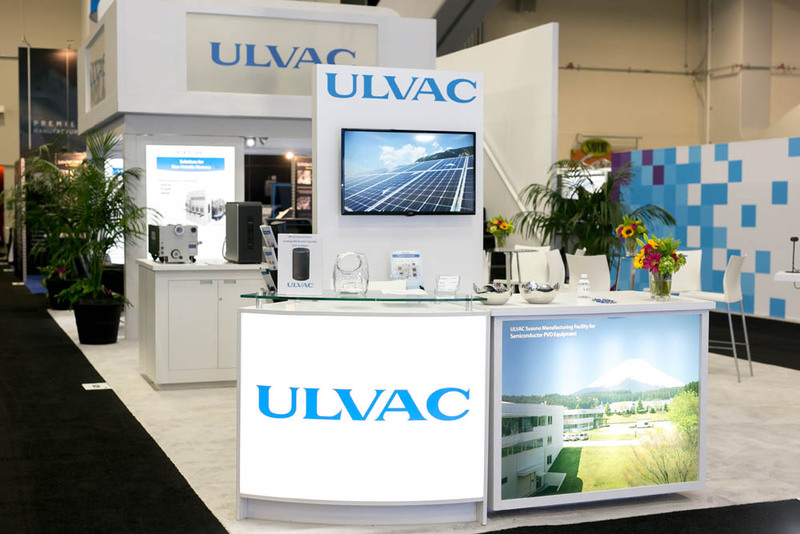 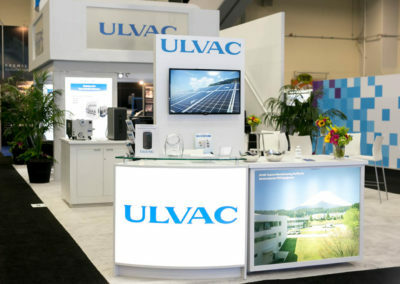 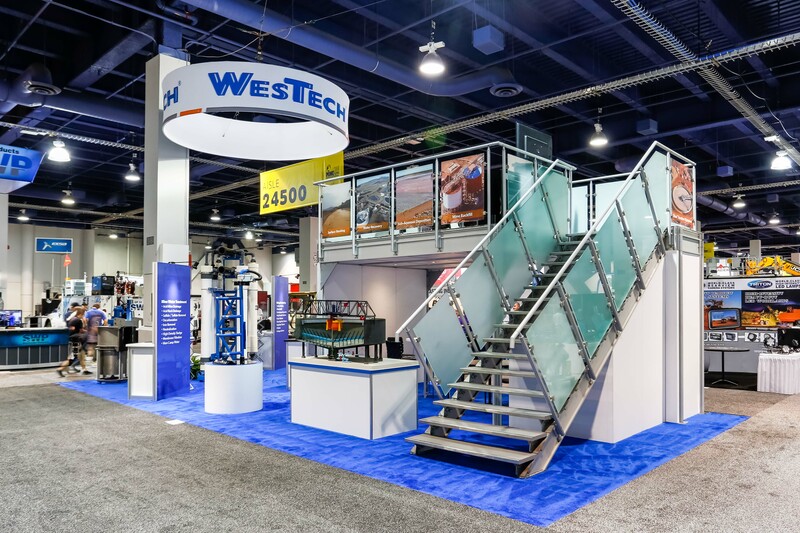 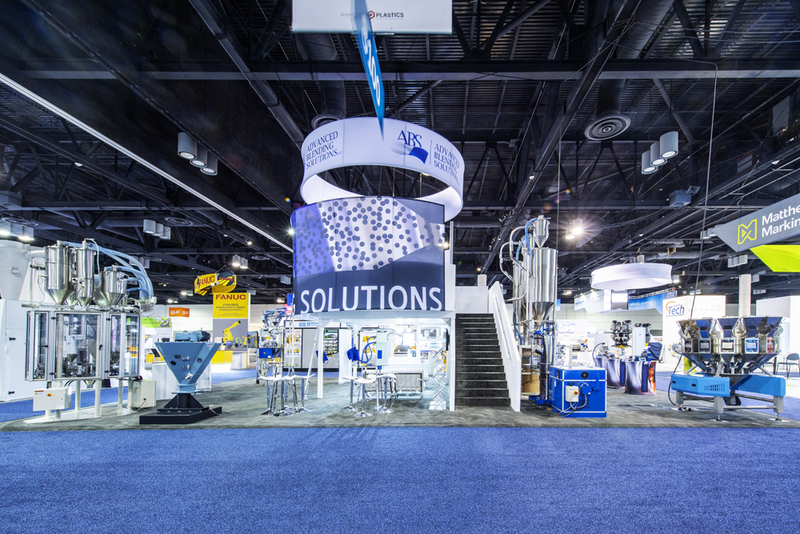 Trade show attendees flock to double deck trade show displays because they truly stand out on the show floor. 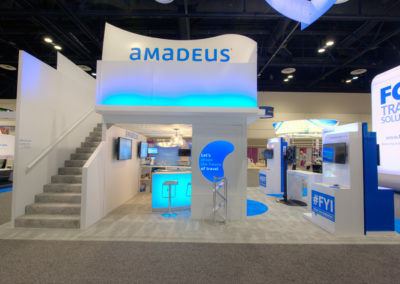 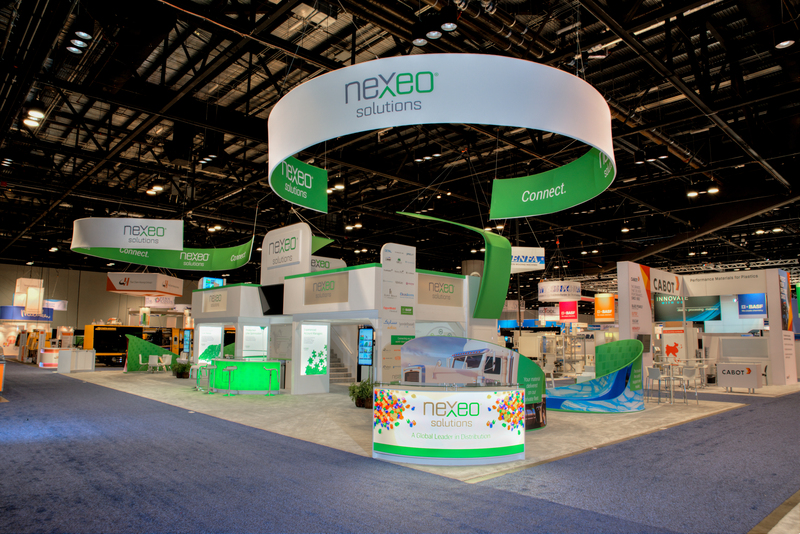 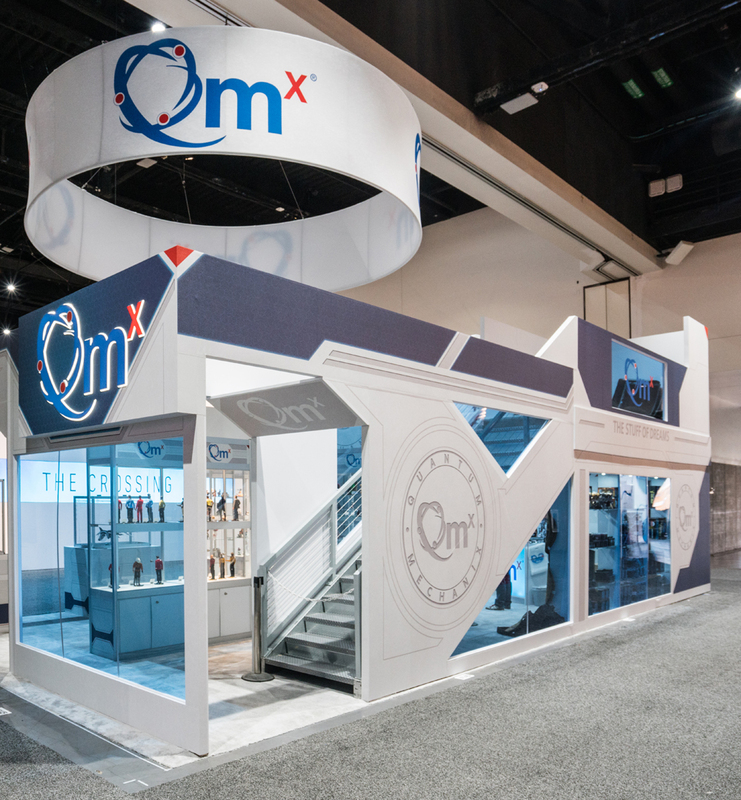 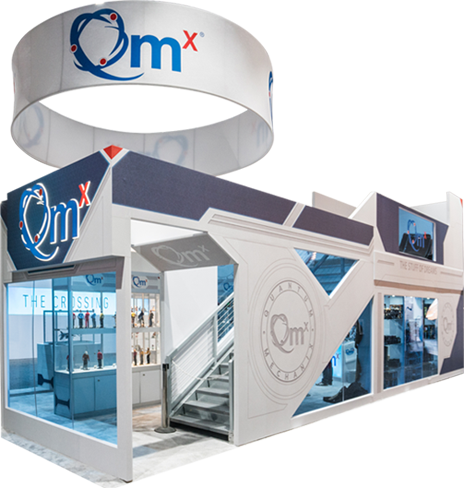 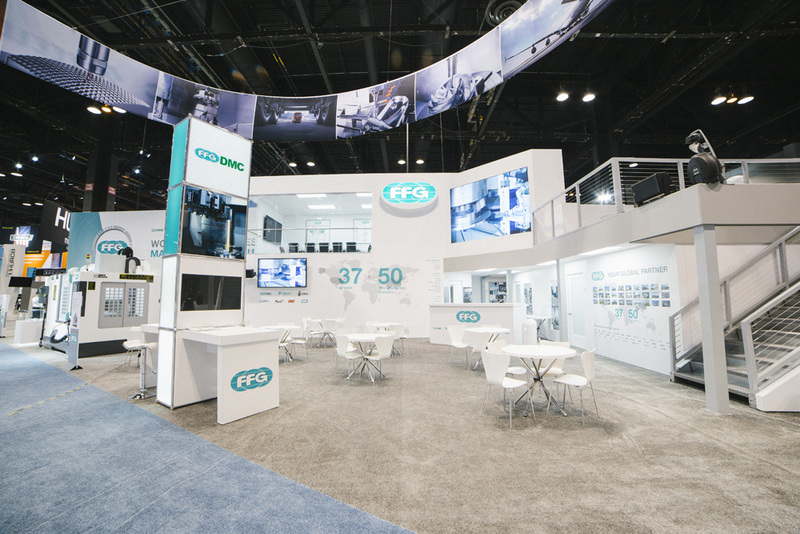 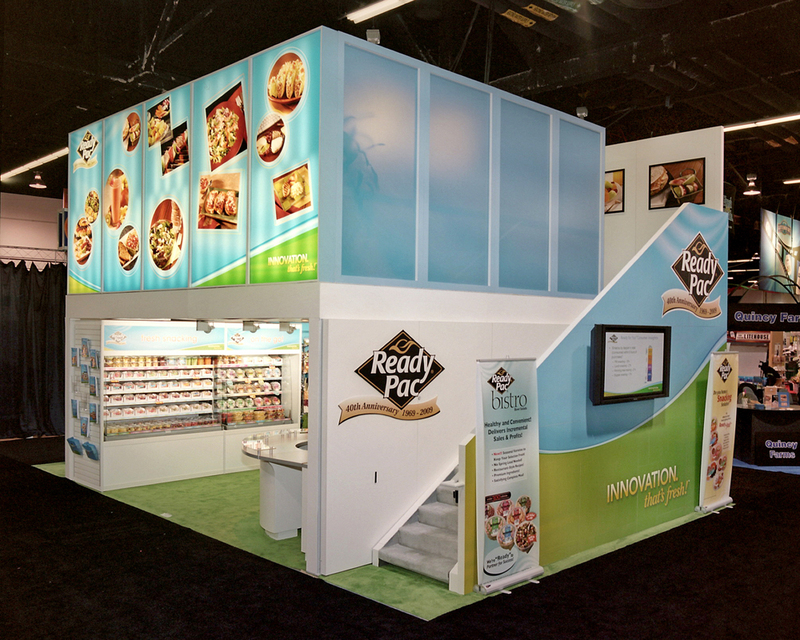 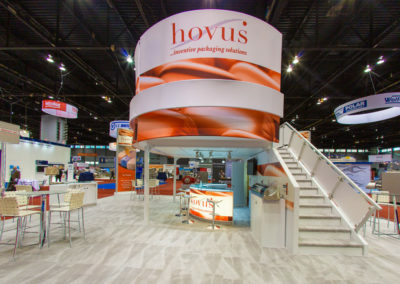 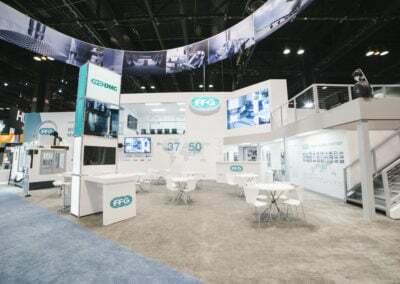 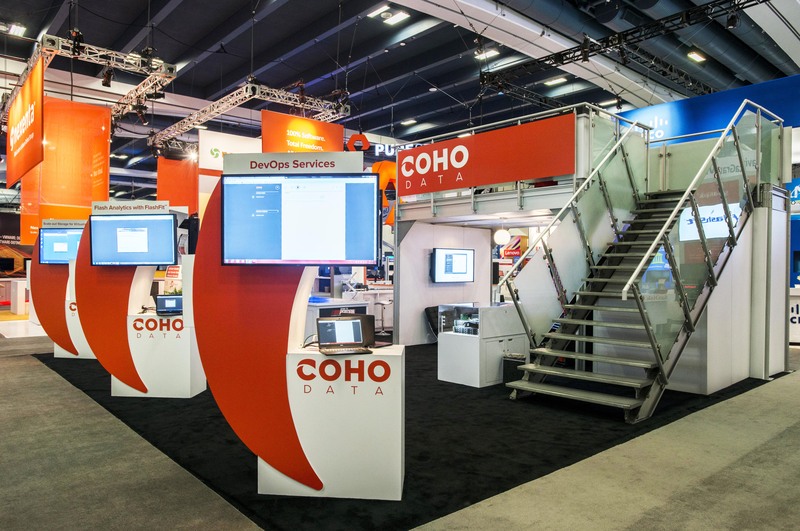 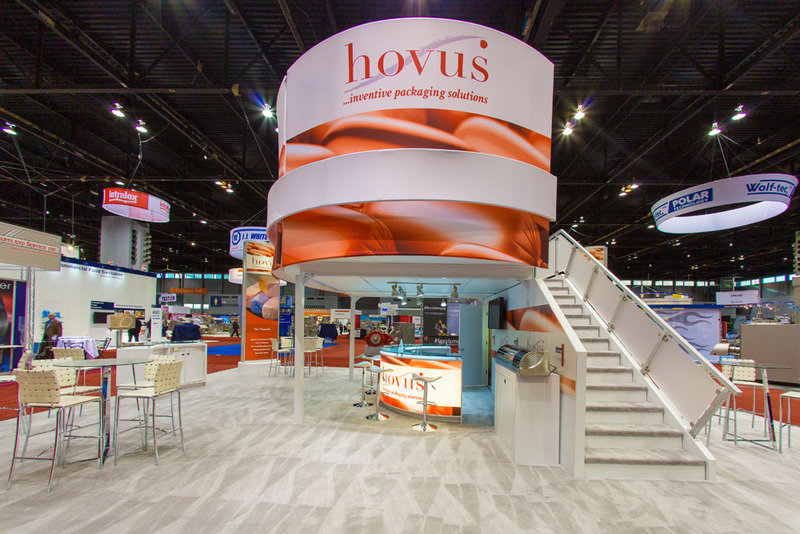 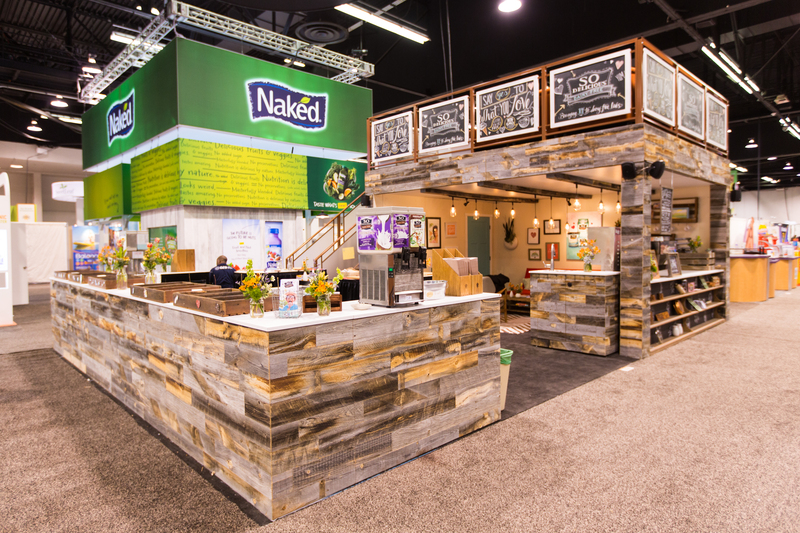 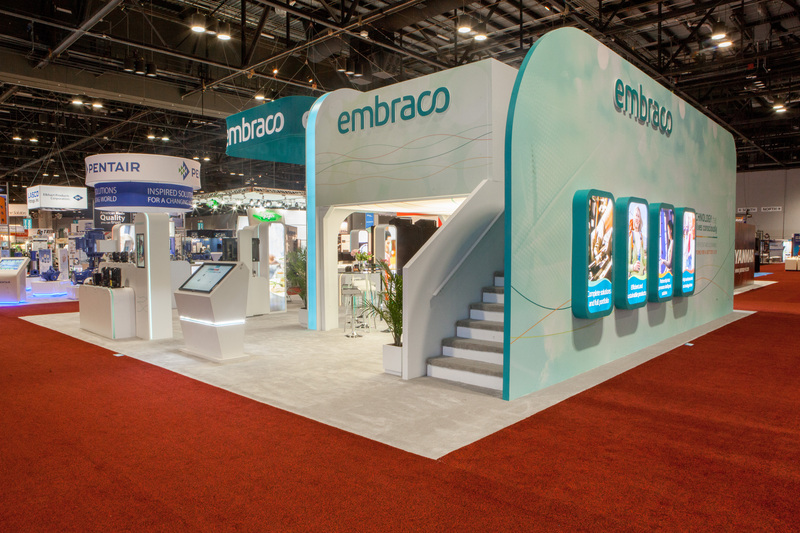 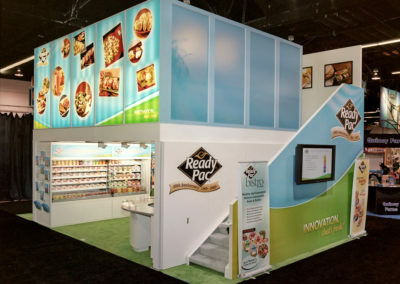 Did you know that Double Deck Trade Show Displays can be built in a 20′ x 20′ space and above? 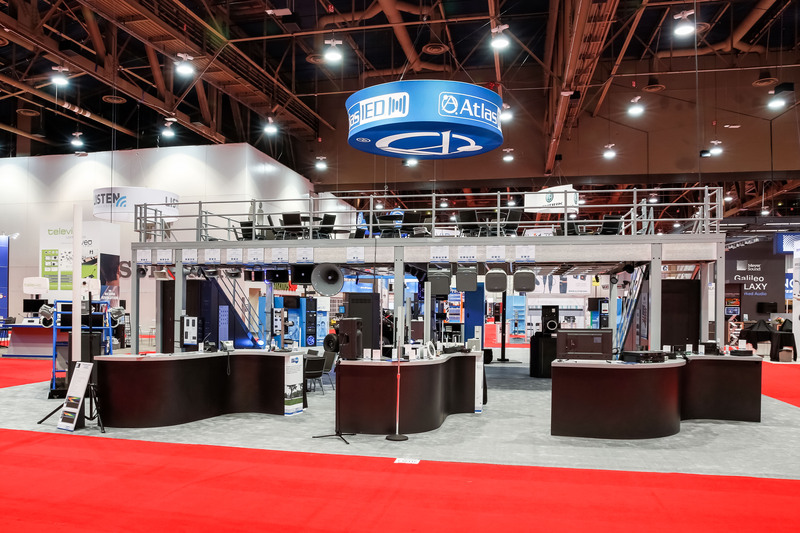 Explore the photo gallery below for a brief look at some of our latest Double Deck Exhibits. 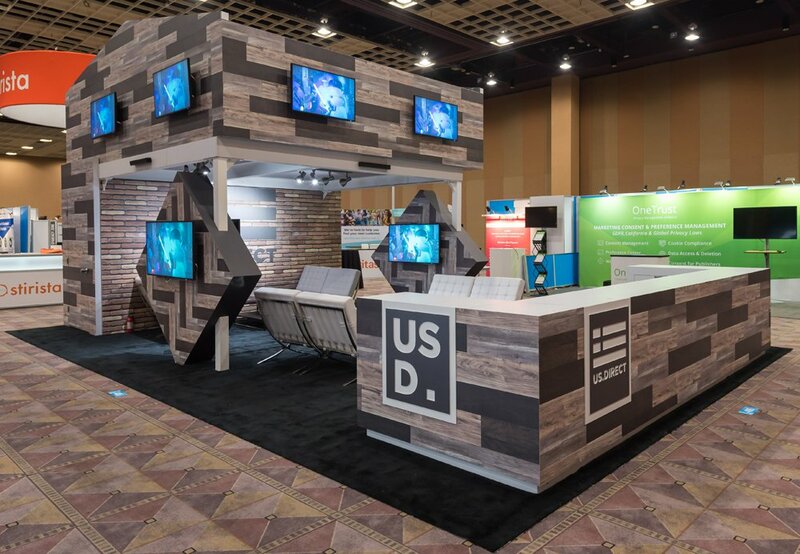 For more design ideas and inspiration, use our Exhibit Design Search tool to browse hundreds of exhibits by type, size, industry and more. 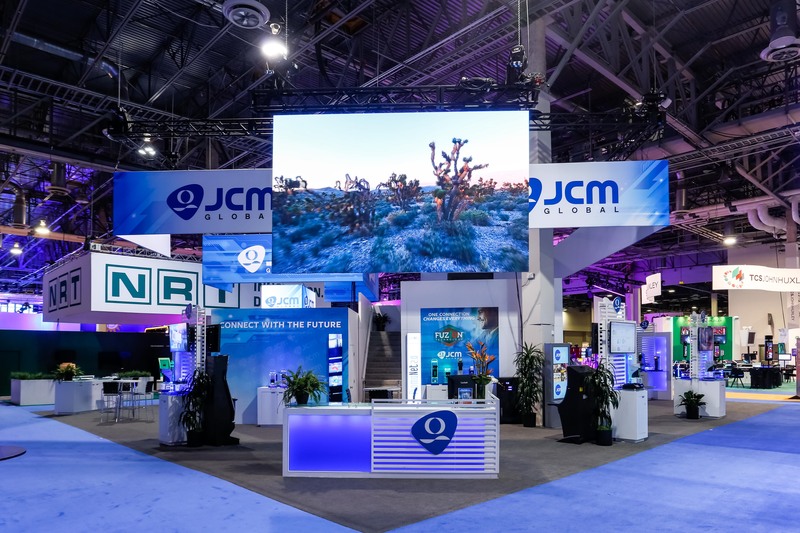 Recently there has been an incredible call for additional exhibit and meeting space, and rather than paying for extra floor space or an off-show floor meeting space, exhibitors have chosen to move up. 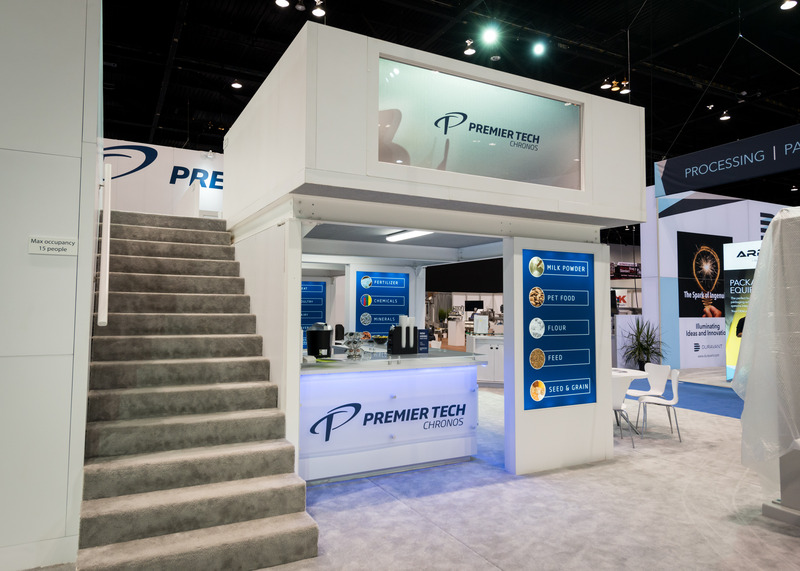 The feeling of privacy and exclusivity that is offered to clients and prospective customers cannot be ignored. 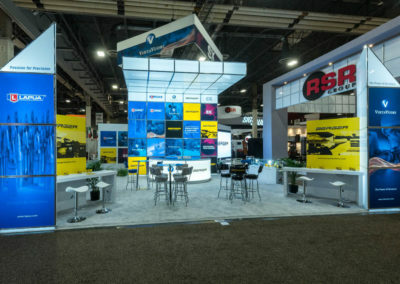 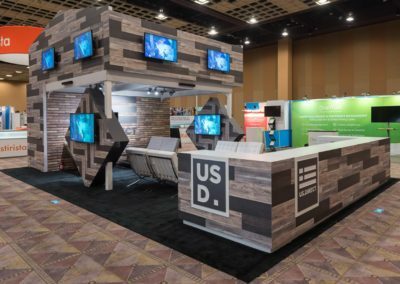 The ROI, return on investment, double deck trade show displays create is actually worth the “most bang for the buck” splash it will create on the show floor.Trade show attendees flock to double deck trade show displays because they truly stand out on the show floor.